Ross Barkley scored his first European goal as Chelsea beat Malmo 2-1 in their Europa League last 32 first leg tie, also winning their first away game of 2019. 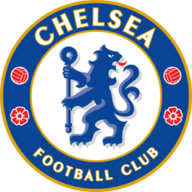 Chelsea were looking to bounce back after a 6-0 thrashing by Manchester City in the Premier League on Sunday and Barkley opened the scoring in the 30th minute as he tapped home from a Pedro cross, netting for the first time in 11 European matches. Olivier Giroud continued his fine scoring run in this season's Europa League as he doubled Chelsea's lead in the 58th minute, before Anders Christiansen scored a consolation for Malmo with 11 minutes to play. Malmo: Dahlin (6), Vindheim (6), Nielsen (6), Bengtsson (6), Safari (6), Rieks (6), Christansen (7), Bachirou (6), Traustason (7), Antonsson (6), Rosenberg (6). Subs used: Strandberg (4), Lewicki (4), Gall (n/a). Chelsea: Kepa (6), Azpilicueta (8), Christensen (6), Luiz (7), Emerson (7), Jorginho (7), Kovacic (7), Barkley (8), Willian (7), Giroud (7), Pedro (7). Subs used: Hazard (6), Kante (6), Hudson-Odoi (n/a). Man of the match: Ross Barkley. The result saw Chelsea score their first away goals of 2019 and get their first win on the road since the turn of the year, taking their lead into next week's second leg at Stamford Bridge. The first half was littered with fouls and lacked any clear cut opportunities until Barkley scored on the half-hour. Pedro's cross was not dealt with by Malmo defender Lasse Nielsen, and the ball landed at the feet of Barkley, who had time to set up his shot before slotting home past goalkeeper Johan Dahlin. Six Chelsea players kept their places, with Kepa, Cesar Azpilicueta, David Luiz, Jorginho, Ross Barkley and Pedro starting. Andreas Christensen also got a rare start while Callum Hudson-Odoi was among the substitutes. With a noisy home crowd on their side, Malmo rallied and tested Chelsea as the game headed towards the break. Arnor Ingvi Traustason and Andreas Vindheim both saw efforts blocked before David Luiz was called into action to clear a corner. Malmo made a great start to the second half and twice went close inside 10 minutes. Fouad Bachirou got past two Chelsea players before trying to set up Markus Rosenberg in the middle of the area, but Cesar Azpilicueta was there to see the ball behind. Not long after, David Luiz headed a long range effort from Trautason just wide. Chelsea doubled their lead in the 58th minute as they hit Malmo on the break. Barkley raced down the field before laying the ball off for Willian on the left. He then darted towards the near post before cutting the ball back, which Giroud flicked home to score in his fourth successive Europa League game. The Blues looked to be comfortable as Malmo - who are in between seasons in the Swedish league - began to tire. Dahlin was forced into a great save in the 66th minute as Barkley fired his way from close range and the Chelsea midfielder was involved again not long after, laying the ball off for Pedro, who just curled a shot wide of the post. But there was life in Malmo yet and they pulled a goal back in the 79th minute. A poor touch from Andreas Christensen allowed Rosenberg to latch onto the loose ball before playing in Christiansen. He burst into the area, getting ahead of Mateo Kovacic, before slotting home into the far corner. Chelsea have won the first leg of a European knockout tie for the first time since April 2013 versus Basel in the Europa League (2-1) - they were winless in six such matches prior to this victory (D3 L3). Malmo have been beaten at home in Europe for the first time since November 2015 against Paris Saint-Germain (0-5), ending a run of eight games without defeat in front of their own fans (W2 D6). Malmo have lost five of their six meetings with English sides (W1), though Chelsea are the first such team to beat them in Sweden since Liverpool in September 1967. Ross Barkley scored Chelsea's first away goal in all competitions in 2019 - they haven't had to wait until the month of February to score their first away goal of the year since 1997. Olivier Giroud is the first Chelsea player to score in four successive games in European competition since Victor Moses in May 2013. It was an impressive attacking performance from Barkley, who not only reached his own milestone but helped Chelsea to break some of their own ducks for the year. He showed great composure to slot home for his goal and was involved in the second, as well as a number of other good chances created in the second half. But he is by no means the finished product. He gave the ball away in added time, which nearly led to a Malmo equaliser, but he was saved by another wonderful block from Cesar Azpilicueta. But he should be commended for his contribution up front as Chelsea banished the demons from Sunday. It's another big game for Chelsea on Monday as they host Manchester United in the fifth round of the FA Cup. 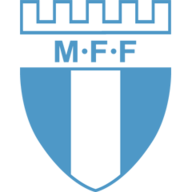 Malmo are also in cup action on Sunday when they host Degerfors in the group stage of the Svenska Cupen. The two sides meet again next Thursday for the second leg at Stamford Bridge.